This is a good book. 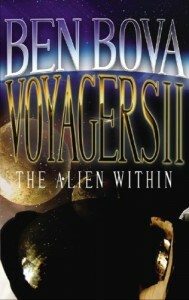 Perhaps a little too mainstream for my taste, but Ben Bova brings up some interesting questions with ALIEN WITHIN. None of them are as easily answered or even possible, of course, but nonetheless interesting.